EVER wondered what it would be like living "off the grid"? 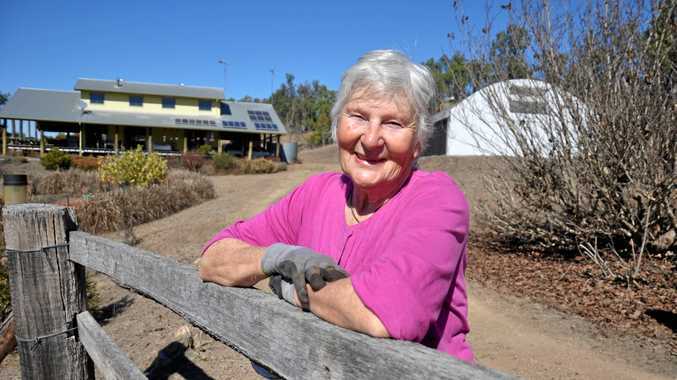 A visit Joan Derrick's 30-acre Bancroft property gave this Central & North Burnett Times reporter a better idea of what self-sufficient living is all about. 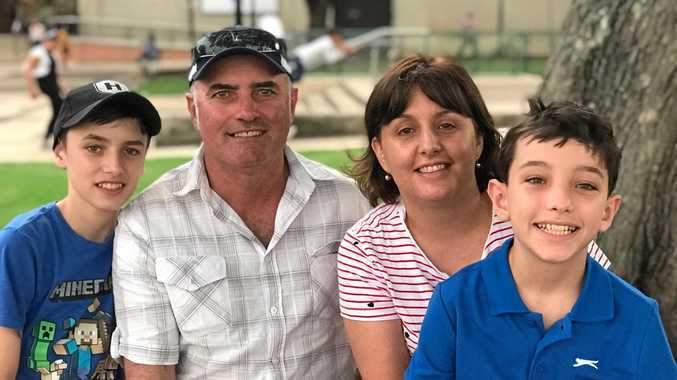 The 600-acre pocket of land, roughly 32 kilometres northeast of Monto, has been in Mrs Derrick's family since its selection in the 1920s. After inheriting it from her late father in the early 1990s, Joan sat down with Brisbane architect Ray Sweeney to design the house of her dreams. Every aspect of the property was meticulously planned. Before construction began she camped out on the land for several weeks, testing the shade, wind and temperature of different locations until she settled on the ideal spot. Situated half-way up a ridge, above the valley floor, "The Retreat" is flood-proof and cool during the sweltering summer months. Its northeastern orientation provides optimal ventilation and sunlight for the 20 roof-top solar panels that now charge the six heavy-duty battery cells which power the property. Over a six month period in 1994, a sustainable paradise was built using locally-sourced materials. The timber was cut on site and planed by hand - strong, white ant resistant narrow-leaf iron bark for the supports and blue gum for the interior. A septic system was installed, along with a 240 volt pump system to transport rain water uphill to a 25,000 gallon tank on top of the ridge that gravity feeds the house. Dam water is pumped separately to a 10,000 gallon tank for use in an expansive garden that includes an organic vegetable garden, chicken coop and two tunnel houses, which now sit empty but were formerly home to a successful geranium nursery. She was inspired to carve out a sustainable existence for herself, but 24 years on she said she couldn't imagine life any other way. "I always wanted to be self-sufficient. I'm not sure why," Mrs Derrick said. "I like a challenge and a project like this was such an unknown at the time." Life off the grid is not without its challenges. Pick the wrong washing machine and the power-hungry appliance will short your inverter. Forget to take regular battery readings and you could find yourself in serious trouble. Thankfully, after a long, at times frustrating, process of trial and error The Retreat now runs like a well-oiled machine. "There's no doubt it takes a lot of management," Mrs Derrick said. "You have to monitor the draw-down and be concious of the usage and efficiency of the electronics you buy. "I very rarely have to use the backup generator now, only when there are three or four rainy days in a row." Joan is a firm believer that every new house should be built with it's own power supply. While this way of life isn't for everyone, she said it would motivate more Australians to reconsider their environmental footprint. "It would make people responsible for the energy they consume and emphasise sustainable design," she said. "Solar technology has come a long way in the last few years and batteries are much more efficient. "There is something satisfying about being totally in control and I think more people should try it. "I wouldn't want to live any other way." The Retreat was recently approved to be listed as an Airbnb Experience on the popular short-term lodging website, allowing Joan to share her passion and unique lifestyle with others.